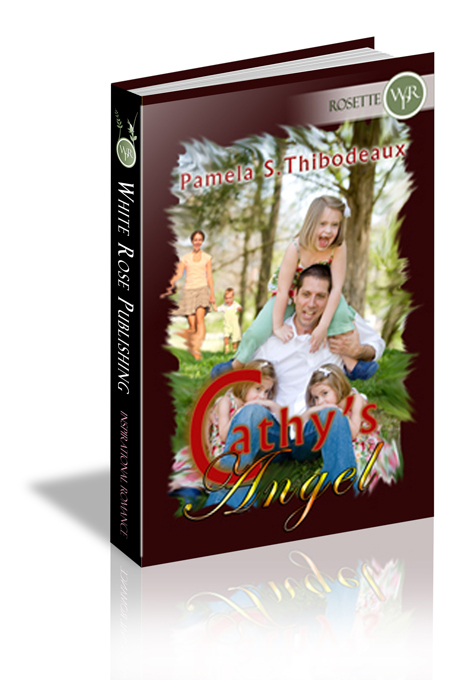 Single mom Cathy Johnson is tired of running her life alone...what she needs is a well-trained angel to help out. Jared Savoy gave up the dream of having a family when he discovered he is sterile. Can a confirmed bachelor and the mother of four find love amid normal daily chaos? She snorted. The men she’d met since her husband’s death had all but run off in a panic when they met her children. A shadowy figure came into view, interrupting her prayer. “What’s he doing on my road?” she demanded, her heart switching from gratitude to attitude in the span of a thought. “This is my road, my time, the only hour of the day that I have all to myself, free from the rat race of my life, and I don’t like sharing it.” She glared at the unwelcome stranger when he ran by with a nod and smile. Jared rolled his eyes and let out a grunt. “Lord, the worst sight in the world this time of day is a frowning woman,” he muttered under his breath, as he jogged past the petite, green-eyed, brunette who looked as though she’d swallowed a lemon. Shaking the image from his mind, he forced his thoughts back to more pleasant ones. Agreeable thoughts coupled with running, was the only way he could prepare for his daily obligations. Being a self-employed Computer Programmer & Networker had its pro’s and con’s, more often leading to the con’s. Day after day of setting up businesses, networking them into or out of the Information Super Highway and training employees didn’t just put a strain on his mind, but his emotions, as well. Relief could be found in an early morning run, which was why he had leased a house on this particular road, in this specific subdivision, just last week. Never one for idleness, the month-long hiatus from work that he’d allowed himself was currently filled with unpacking and settling into his new home. Rounding the final curve in the road, which would take him back to the house, he saw his unknown running partner sitting on the ground and holding her foot.